As you can see from the picture of authentic watch, dial color is wrong. 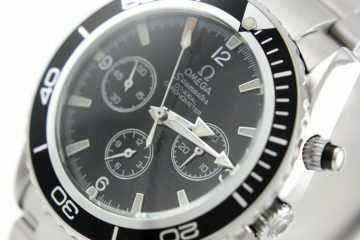 Original Aqua Terra dial is white, while replica color has stainless steel gradation. 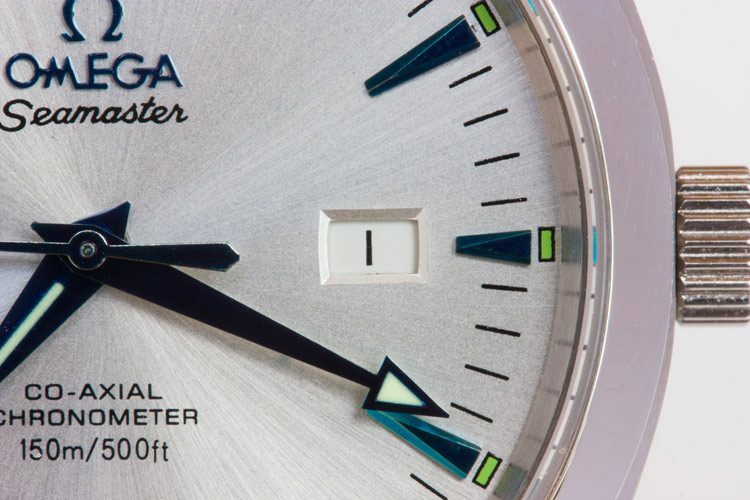 If you look closer, you’ll notice that hour marking on imitation Omega have much steeper angles and the flat surface is a bit smaller compared to authentic watch. 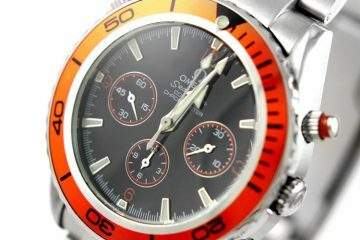 The seconds, hours and minutes hands however, are strikingly similar. 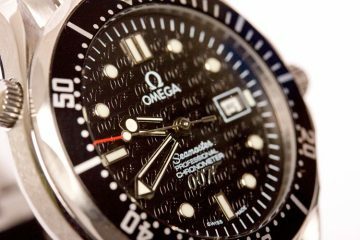 Luminescent dots above hour marks are also perfectly replicated. Date window near 3 o’clock mark is spot on as well as logo, font and rest of the writings. 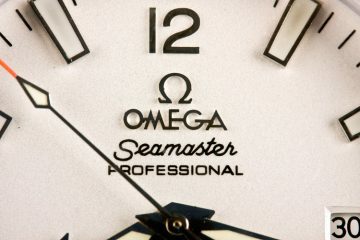 It’s not the case here, but sometimes there are spelling errors on dial writing, for example I once saw an Omage Seamster replica that said “proffesional chronometer ” instead of “professional chronometer”. It’s an easy mistake to make, eh? The weight of the band feels heavy. 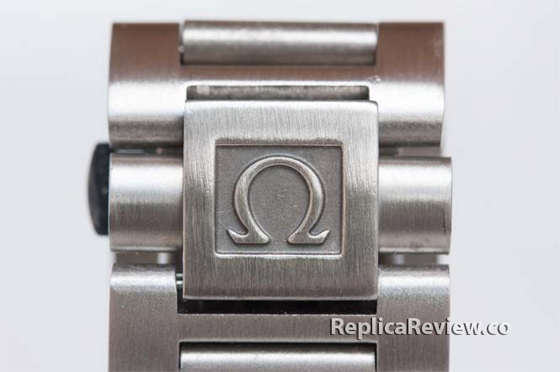 Omega logo on the clasp is embossed exactly the same way as on genuine watch. 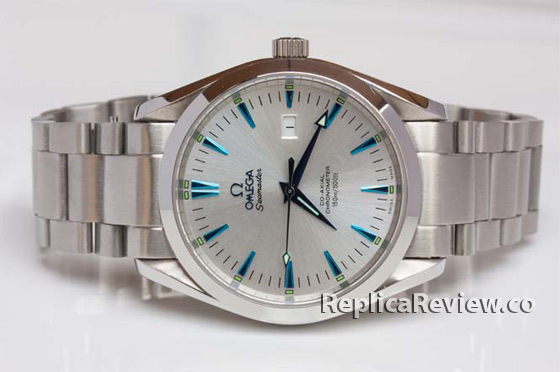 Band’s links appearance is also very similar to authentic Omega Aqua Terra. 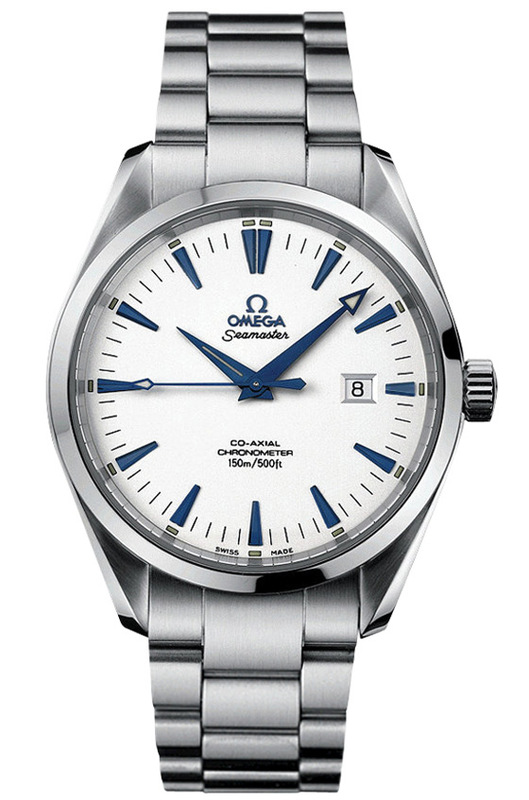 All in all it’s not very accurate replica, mostly because of the wrong color of the dial. It should be white and not grey or steel color. 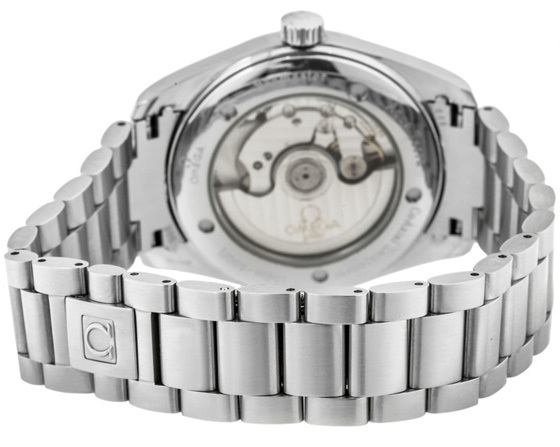 Another dead giveaway of this knockoff is the color of the movement that is clearly visible through transparent back case window. The right weight and correct markings can’t compensate for these two major shortcomings. 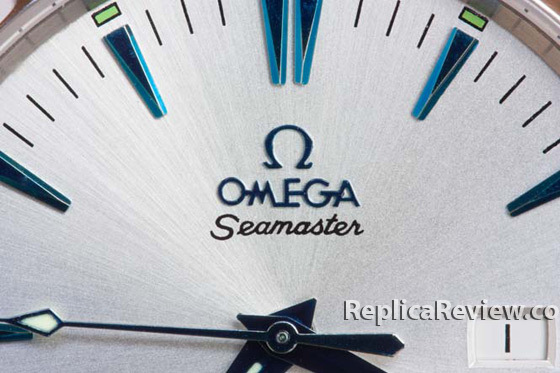 If you’re looking for more accurate replica, check out this Omega Planet Ocean imitation. 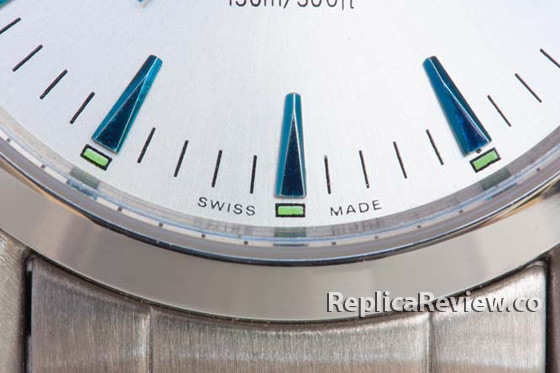 My mistake was that I bought Swiss replica version of this watch and got highly accurate ETA 2824-2 mechanism, unfortunately it’s the wrong color. 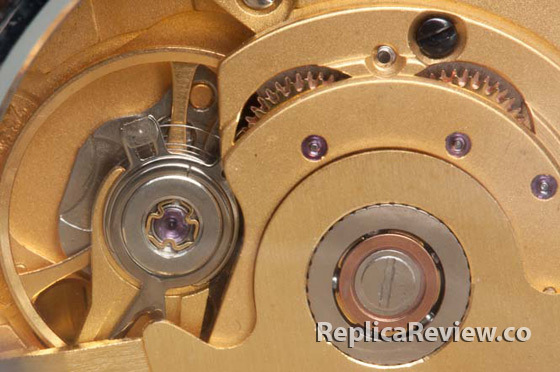 Probably if I would get cheaper, Japanese replica version, the movement would be the right color. 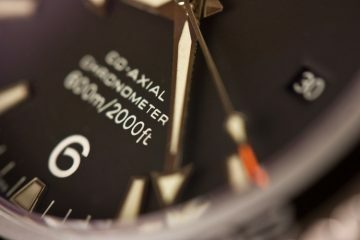 I have similar watch. Bought it 2 years ago online. 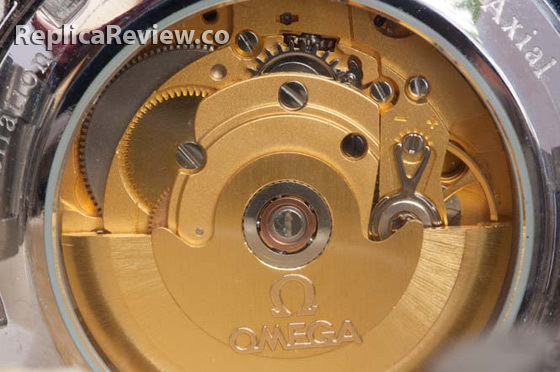 The one you reviewed has SWISS ETA mechanism? It sure looks like it! Hi, where did you buy it? Where I can buy that model?